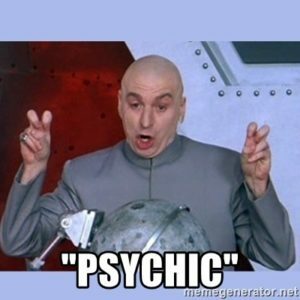 I’ve been actively practicing my psychic and mediumship work since last September. I take classes with Terri Tucker of Chicks with Spiritual Gifts. I most humbly submit that I’ve been pretty accurate with my contact. Here are just a few postings I’ve shared with friends/family from my personal social media in the past couple of months. Woke up to a friend of a friend coming through. He passed a couple of years ago, but he had some things to say this week. He hung out with me all day until his (living) friend could contact me tonight. In the past 30 minutes, so much healing took place for the living. It was pretty f’ing magnificent. I could feel the release of pain, sadness, and guilt, and before the call ended, my friend told me he felt so much better and lighter. He was released. The messages were so accurate and relevant to him that there was no denying his friend was coming through. THIS. This is why I now do what I do. I don’t suture or bandage wounds. I don’t set broken bones or perform miraculous surgeries. I don’t administer medicine. I am here to help bring healing to the soul. There are mornings when I am in the “in-between” of waking, and a soul decides they’re going to hang out with me for the day until I get their message across. lol – It’s happened twice this week. Maree:I’m so curious about this. So you’ll just be doing stuff around the house and then you’ll start seeing people or hearing people or how does it come across to you? Elizabeth: Yesterday, as I was waking, I kept getting a name. It’s like it was rolling around in my brain and wouldn’t go away. It didn’t make sense that this person would pop up out of nowhere with no recent discussion of him. I got up and had tea. The name was there, and then I clearly got the name it was for. It was a “feeling” deep in my gut that told me the living person needed a reading NOW and the person on the other side was taking advantage of the moment to get my attention through thoughts, feelings, and images in my head and body that simply aren’t my own. When I worked out, I had certain songs come on, and the person passed (we’ll say PP for short) began coming through VERY strongly. Almost as a commentary to some of the music. And some of the song lyrics became his way of giving me messages. Example: if somebody on the other side wants me to mention the word “television” or “TV”, I will get music coming on randomly with those words, and I’ll get a side commentary in my head that says “mention this”. I would be diagnosed as schizophrenic if the messages I brought through weren’t so relevant and accurate for the people I’m reading. But here’s the thing… I don’t “hear” the voices. I FEEL them. Everything is through energy and vibration that isn’t seen by the naked eye in our 3D world. It’s pretty trippy and very hard to explain. The hardest part of this work is the TRUST. We can learn to be psychic and access other places, but trusting what we see and get from there is a whole other story. Tonight in class I read for a student as her grandfather came through. She immediately knew it was him when I said his name and told her that he is always around and hears her when she talks to him while she’s driving. She said she spoke to him often, even on her way to class tonight. I also told her that her grandfather wants her to stop beating herself up when she falls off her diet wagon. I had no idea she was on a diet, but she said she’s been very self-critical of herself and her food lately. I told her she needs to see herself as her grandfather sees her, with love. I also experienced something most amazing tonight. The dead (who aren’t dead at all, very much alive) will often take me to their physical death so I understand how they passed. They also take me to the funeral, giving me descriptions of casket, clothing, flowers… But tonight, her grandfather took me to the point of exit, when he was leaving his body and going into the light. At the end of the light, shining so brightly like an angel, I saw his mother waiting for him, and he was so full of love and peace at that moment that it was easy to leave his body. He hadn’t seen his mother in decades, and there she was with outstretched arms, beaming like a goddess surrounded by angels. It was f’ing amazing and brought me to tears. I’ve seen and been told people were waiting for a loved one, but I’ve never experienced what I did tonight. I have found myself giving very clear and relevant messages to others this week, but those messages always seem to be what I need to hear as well. I love being in a room full of psychics. It must be how Harry felt with his pals at Hogwarts! Just went to do psychic homework and ended up doing a reading for a friend instead. Sometimes, your family members can be pushy and cut the line. I have to say, it was pretty incredible, and I feel so blessed (and mind still completely blown) that I do this now. When a loved one who is passed from this plane comes through so strongly, and with such incredible, validating messages, my heart fills up with so much love… so grateful. medium, mediumship, psychic, psychic medium. Bookmark.